The color white symbolizes purity, union, truth, and innocence. For romance, 24 roses speak the message, "Forever yours". Reveal your heart's desire with this gift package at a reasonable price of only 118. 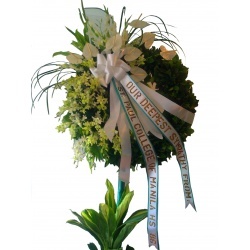 It consists of 2 dozen white roses of only the freshest, premium variety, arranged elegantly in a fine quality vase. 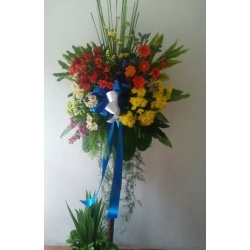 This gift package is ideal for occasions for Roses.